We have just returned from our annual Feb half term holiday down south where we do two days visiting my bother and then travel over to Devon to spend a week near my Nanna. Whilst on our break we were lucky enough to get the opportunity to work with Visit South Devon once again and this time they invited us to take a trip to the South Devon Railway. The South Devon Railway is an award winning seven mile former Great Western Railway branch line, built in 1872, which runs along the stunning valley of the River Dart between Buckfastleigh and Totnes offering you the opportunity to travel this stretch of the countryside by steam train. It stops not just at Buckfastleigh and Totness but also at Staverton and you can get on and off at any of these stations, however we were given the handy hint that there is ample free parking at Buckfastleigh and not at the other two stations, making it the perfect starting point for our journey. When we arrived at Buckfastleigh as well as the ample free parking we also noticed that there were a few things to look at including a second hand book shop, some old trains, a coffee shop and on the platform itself is a lovely little museum that is included in your ticket price. The museum allows you to explore some old trains and pieces of machinery and has some hands on bits for the kids to enjoy whilst you wait for the train. I would recommend you arrive a little early to allow time for this or remember to visit when you return. The train station itself is only small and oldie worldie and all the staff we met were are an absolute delight, so helpful and informative and clearly loving what they do, which is great especially as the majority of the staff you see will be volunteers. The train, like I said, is an old steam engine, and the carriages are old fashioned too. They are comfy and quaint and some carriages have little curtains that reminded of trains from old films and are not like the trains we have to today so is a great experience for children to see the comparisons. 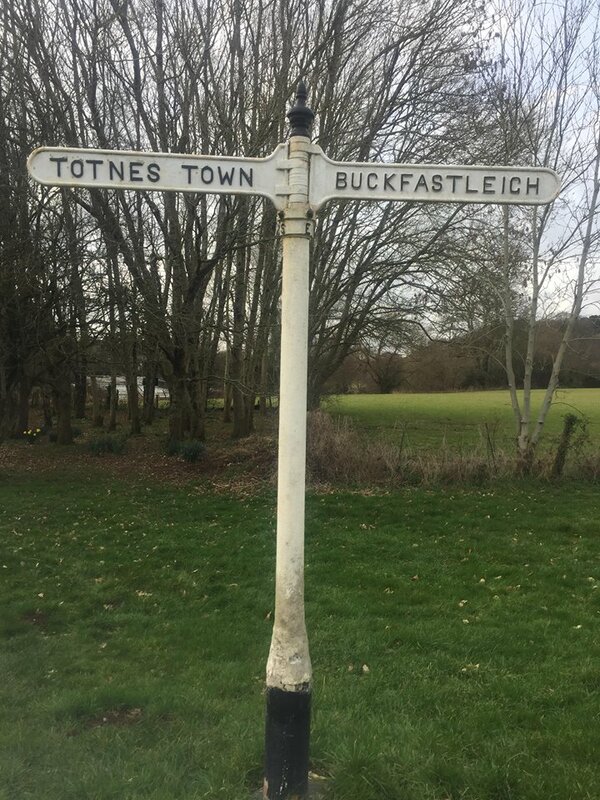 We traveled from Buckfastleigh to Totnes which took 30 minutes and traveled through the most picturesque countryside views, with lots of greenery, fields, a goblin and elves (yes a goblin and elves) to one side and the river Dart, free roaming cows and more beautiful greenery to the other. It is definitely worth swapping sides for the return journey so you get to take in both views. 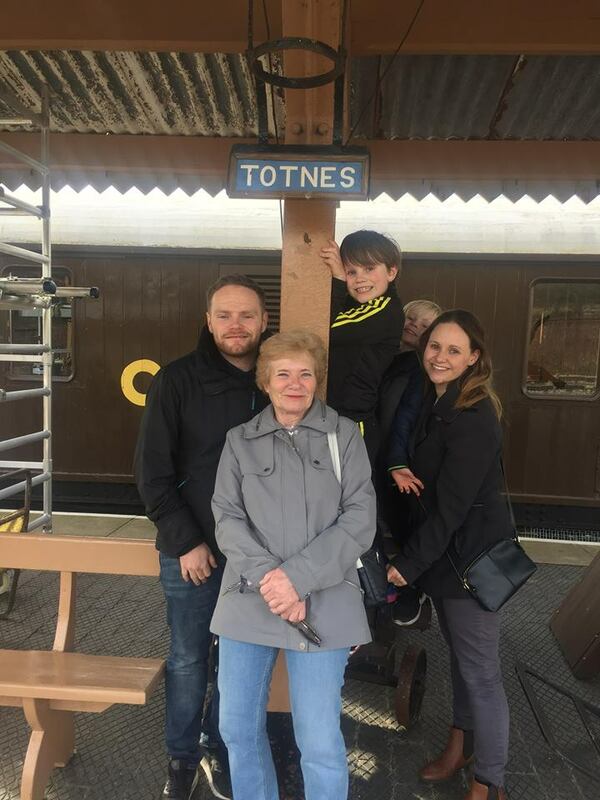 We decided to turn our train ride into a day out but of course you can choose to stay on board and return to Buckfastleigh on the very next train. Instead we departed at Totnes and walked into town to explorer. Totnes is a lovely little town center with a high street full of shops, cafes and pubs which will easily help you pass the time. We also chose to stop for lunch at The Dartmouth Inn where the food was delicious and the portions sizes incredible, especially their childen’s meals, so if you do decide to stop for lunch head to this place as you won’t be disappointed. After lunch we had a little walk down by the river and then stopped at the park on the way back to the train station ready to return on the last train of the day. There is also a castle in Totnes that we were hoping to visit but unfortunately it was closed but if you are planning on staying in Totnes I would suggest you check the castle opening times as this would make for a lovely addition to your day out. Our return journey was just as beautiful as our out going journey and we also got talking to a member of staff who was just hysterical and was telling us all about the local history and some recent news items, making the journey even more memorable. There is a food and drink cart on board the train as well as some memorabilia for sale so if you think you might like to purchase anything make sure you have cash on you. Overall we had a wonderful day out with all 4 generations of my family enjoying it in equal measures. It is without a doubt a real family pleaser of a trip, oh and you can even buy a ticket for the dog too! 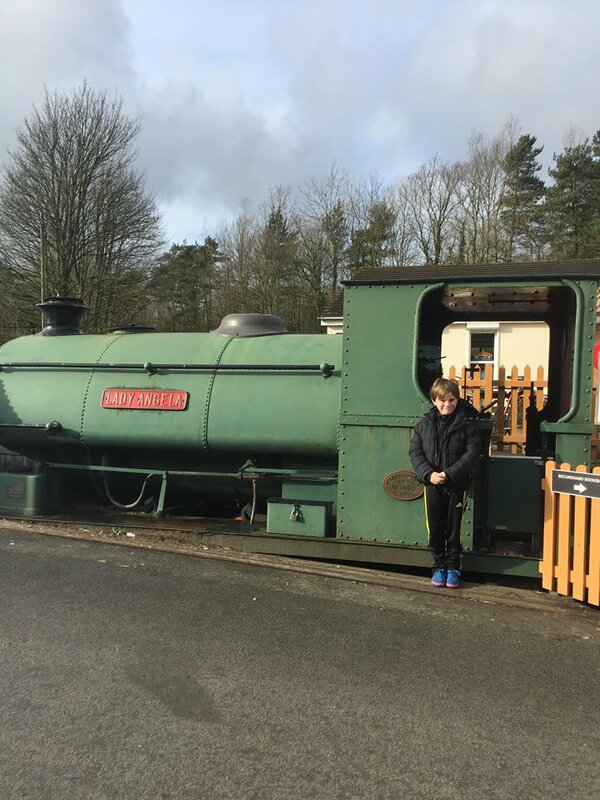 Depending on the time of year you visit will depend on the regularity of the trains so be sure to check on line before you book but for us we found that we had ample time between trains to enjoy exploring a new place and I would highly recommend this as a holiday activity if you are in the area. (We were given complementary tickets in exchange for an honest review. All opinions are my own). Looks like a great day out, my toddler would love that! Oh wow this is definitely going on our wish list! My family is train obsessed. Get on a steam train this year as me and my grandma were booked to go on a day trip on one when I was little but we never made it because she does the night before. oh no I am sorry to hear that. I sure do hope you manage to get on a steamie this year and have a wonderful time.